Waterfall Info: This is a small waterfall on an unnamed tributary of the Alcovy River. 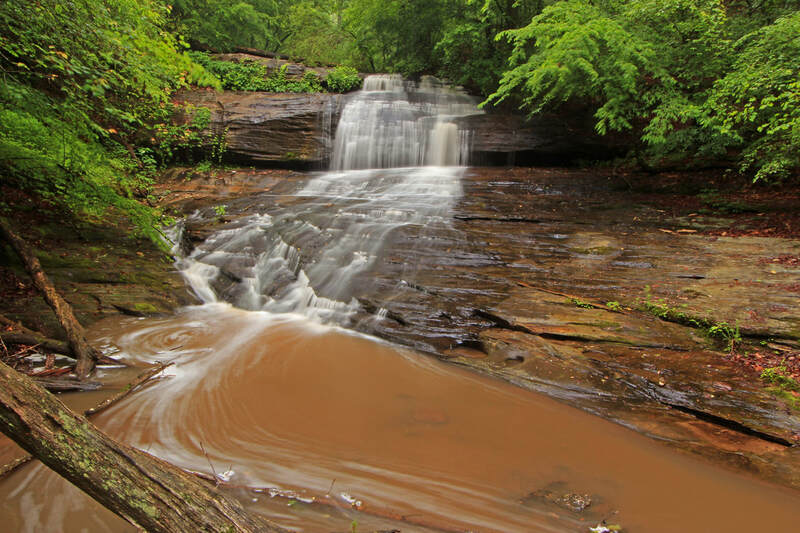 The waterfall is near Freeman's Mill Park, but it sits on private property and is inaccessible to the public. Sadly, the falls has turned into a trash dump.